Privacy and security has been made possible with VIPole app that ensures messages you sent cannot be accessed by anybody including even the VIPole. The app provides you with end to end encryption of data stored and transferred through messenger. You have full control of your files and data hence you cannot fall a victim of eavesdropping and interception. The messaging app has very amazing features such as group chats that allow team coordination and allow sending messages to many in a short time. The contact list manager giving you the freedom to choose who you want in your contact and who you want blacklisted. You can have secured audio and video calls with your contacts using messenger for free and have very cheap international calls as well. You can manage your chat history by having the freedom to delete unwanted chats and sent photos and clear all history. Not only your chats are encrypted but you also have photos and other files very secure and you can send and store them as you like thanks to VIPole. 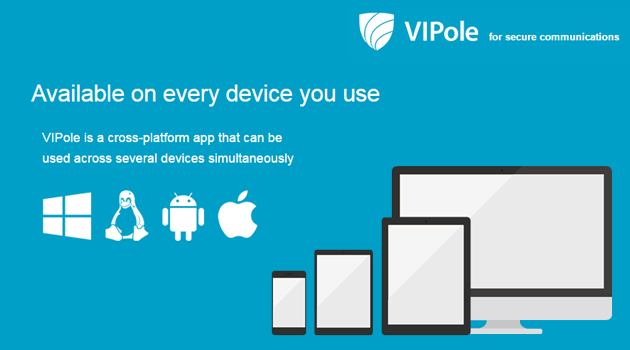 VIPole app can be used across several devices including your android device, Widows, Linux, iOS and Mac. With the app, you don’t have to worry about messages sent while users were offline since they will get notifications the moment they are connected. You can clean your phone by deleting chat history or even store them. It has additional security such as password manager and auto logout feature. Having full control of your messages and ensuring nobody apart from you can access them is a dream come true to many. The app has received positive reviews plus very good ratings especially the fact that they can make free audio and video calls. The easy of installation and use on devices is a plus for many apps VIPole being one of them.